You are at:Home»Hot Products»Twigo Tags LLC is Excited to Announce the Launch of Their New Bandana and ID Ring! 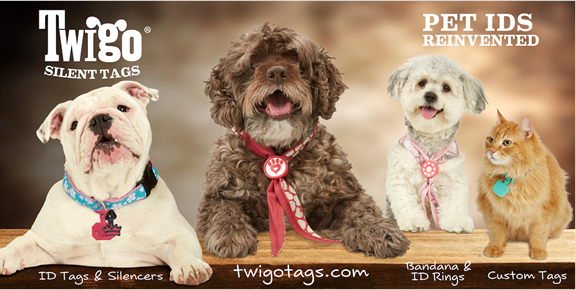 Twigo Tags LLC is Excited to Announce the Launch of Their New Bandana and ID Ring! Spring is in the air, and as our fur-friends spend more time outdoors there’s no better time to make sure our pet’s identification is up-to-date. Twigo Tags LLC is excited to announce the launch of its new Bandana and ID Ring that will not only keep beloved pets safe, but are a stylish way to kick-off the spring season! 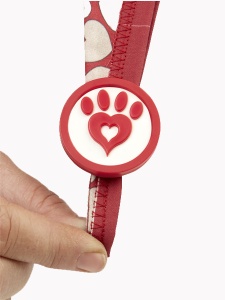 Since pet families love bandanas, Twigo Tags has created an ID that secures to a bandana called an ID Ring. 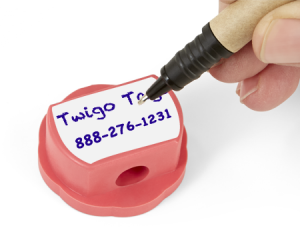 The ID Ring is simple to use and works just like a Twigo Tag. The rings require no engraving and are instantly personalize-able with a ballpoint pen – simply write, boil and wear. Slip the ends of the bandana into the hole of the ID Ring. 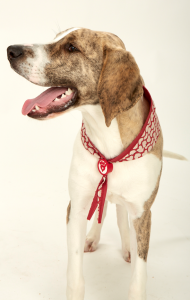 Place the bandana over pet’s head and adjust the ID ring to the appropriate size. The ID Ring prevents knots from tightening because tying is not required. The ID ring keeps the bandana secure and safe and will fit most bandanas. The ID Ring designs include: Flower Power, Paws Up Red and Paws Up Black.Twigo’s Bandanas come in 3 adorable and fun prints: Blue Super Hero, Pink Super Hero and Red Hearts. The ID Ring designs include: Flower Power, Paws Up Red and Paws Up Black. This new fashion-forward way to keep pets identified is “paw-fect” for both cats and dogs and is a fun way to promote pet safety this spring season and beyond! Available: ID Ring & Bandana @ $19.99 suggested retail.